Lexan – LEXAN® is a registered trademark for General Electric Company’s brand of highly-durable polycarbonate resin thermoplastic intended to replace glass where strength justifies its cost. Plexiglass / Plexi-Glass – A clear synthetic resin, or plastic, that comes in various thicknesses and finishes. The face of the light box is a transparent, rigid acrylic commonly known as plexiglass. Tempered Glass – Tempered glass has been created through a heating/cooling process. Tempered glass is 5 times stronger than normal glass. When broken the entire piece of glass shatters into tiny pieces without sharp edges. Bullet Resistant Glass – Bullet resistant glass is a multiple lamination of glass with a tough clear sheet plastic. This residential glass repair is usually 1 3/16? in overall thickness. This is designed to stop bullets from typical firearms with the exception of high-powered rifles. 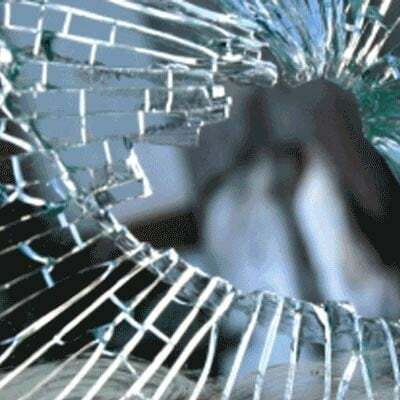 There are many areas where bullet proof glass is necessary as a safety feature, including: bank teller – drive-through windows, ticket windows, gas stations, check cashing establishments, armored vehicles, jewelry store windows, display cases, correctional facilities, courtrooms, etc. Laminated Glass – Laminated glass is safety glass its made of two or more lites of glass bonded together under heat and pressure with a polyvinyl butyral (PVB) inner layer. When broken, laminated glass tends to keep the glass in place. Laminated glass has excellent anti-accident and anti-burglary properties. Typical applications include impact, blast, sound control windows, curtain walls, entrance doors, sliding doors, office partitions, schools, sports stadiums, hotels and windshields. 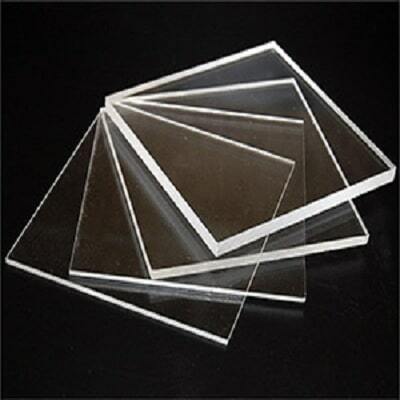 Polycarbonate – also known as Lexan, Poly-carbonate has superior impact resistance and has a special coating to help optical clarity and abrasion resistance. Lexan is ideal for many functional parts requiring exceptional impact tolerance and surface hardness. Lexan has the clarity of glass and is exceptionally resistant to weathering. Lexan blocks out harmful UV rays, resists hail, wind, and vandalism. Lexan has 20 times the impact resistance of fiberglass and over 40 times the impact resistance of glass or acrylic. Wire Glass – Wire Glass is 1/4? clear glass, or obscure glass, with a layer of diamond or square pattern wire mesh that is embedded in the glass lite. Wire glass cannot be heat-treated or tinted, and it is not an approved safety glazing material. Wire glass is often used in skylights, overhead glazing, and where fire-retardant glass is required. Wire glass breaks more easily than an unwired glass of the same thickness, but the wire restrains the fragments from falling out of the frame. Phoenix Commercial and Residential safety glass installation, repair and replacement by AZ Glass Connection. We are specialist in patio door, shower, partitions, acrylic, plexiglas and tempered glass for your office or business facility. Servicing Phoenix, Scottsdale, Glendale and Peoria AZ.